I have been using an earlier version of the DeWalt DWD110K as my primary drill for almost a decade now. 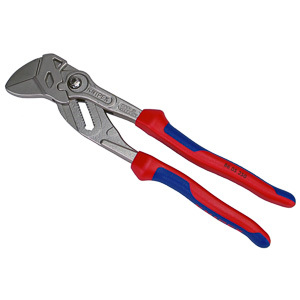 It is one of those tools that outperforms its own price tag by a wide margin. I never felt a need to upgrade. For this reason more than any other I recommend the DWD110K as the drill a first time home owner should buy. Let's take a closer look at what makes the DWD110K such a good combination of performance and price. 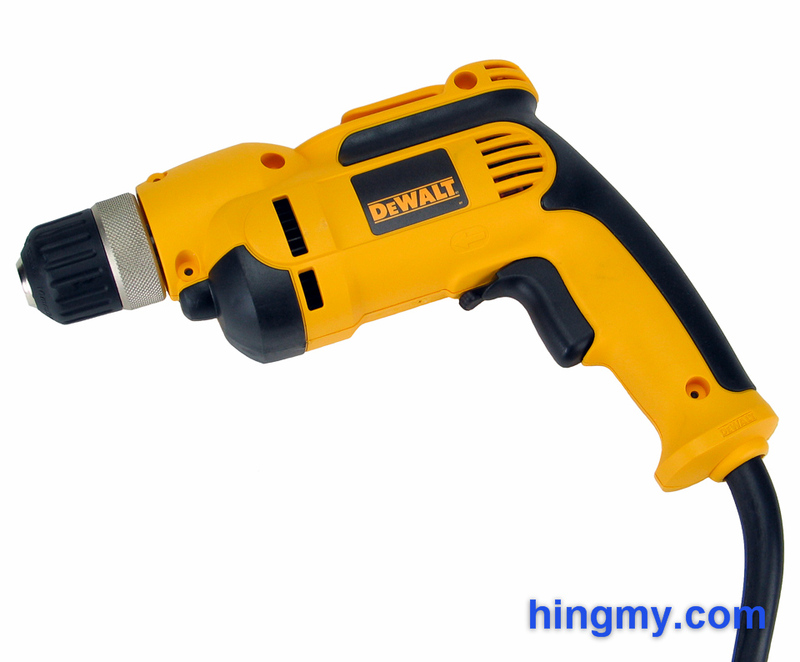 At first glance the DWD110K is a no-thrills pistol grip power drill. The variable speed trigger, plastic chuck, and above the trigger direction selector switch are all where they are supposed to be. The body is well built. Rubber covers exposed areas. A belt hook at the top of body hints at professional use. Nothing is out of place. If you thought that way you would not be wrong. The DWD110K is a simple tool, but it is also a solidly engineered one. 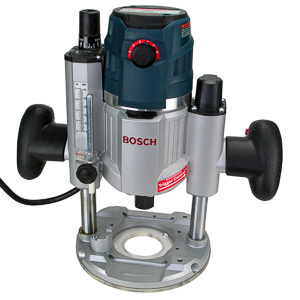 The chuck is offset towards the top of the tool to allow the drill to get into confined spaces. 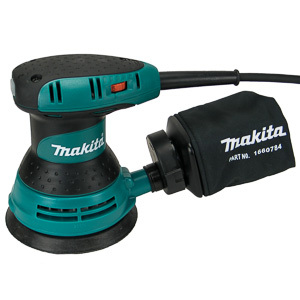 The small size and low weight of the drill increase the tool's agility and keeps the user working longer. The DWD110K clearly is a tool that has been built to be used all day long. It's these qualities that allows the user to worry about the holes the DWD110K drills, and not the tool itself. 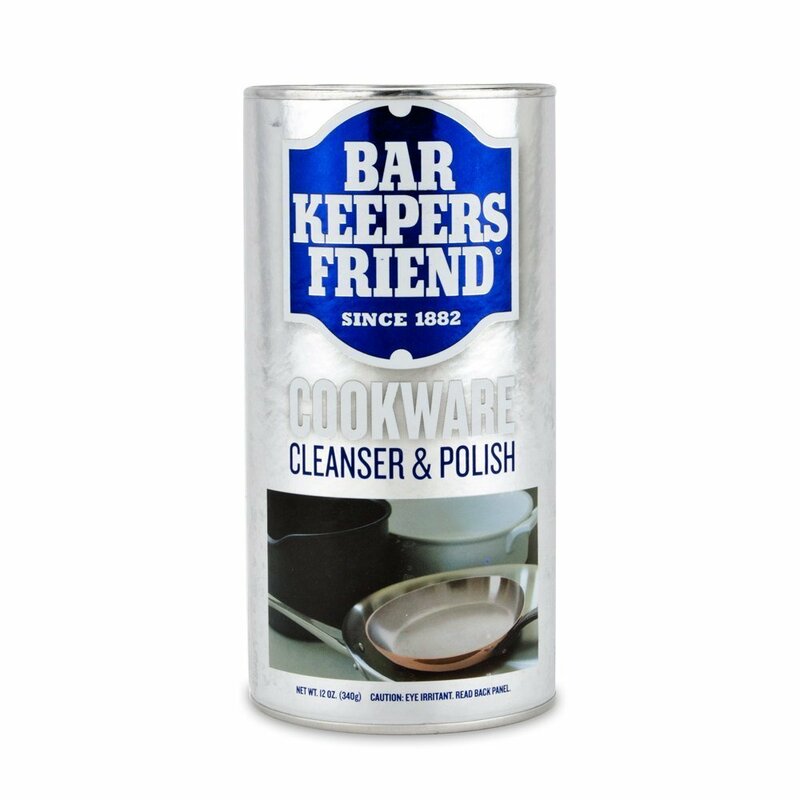 After a few months of use you'll remember the work you have done, and not the tool you have done it with. Like most pistol grip drills the DWD110K is a bit nose heavy. The relatively heavy motor and gear box pull the nose down. Drilling horizontally is still pleasant enough, but the tool really wants to be used vertically. 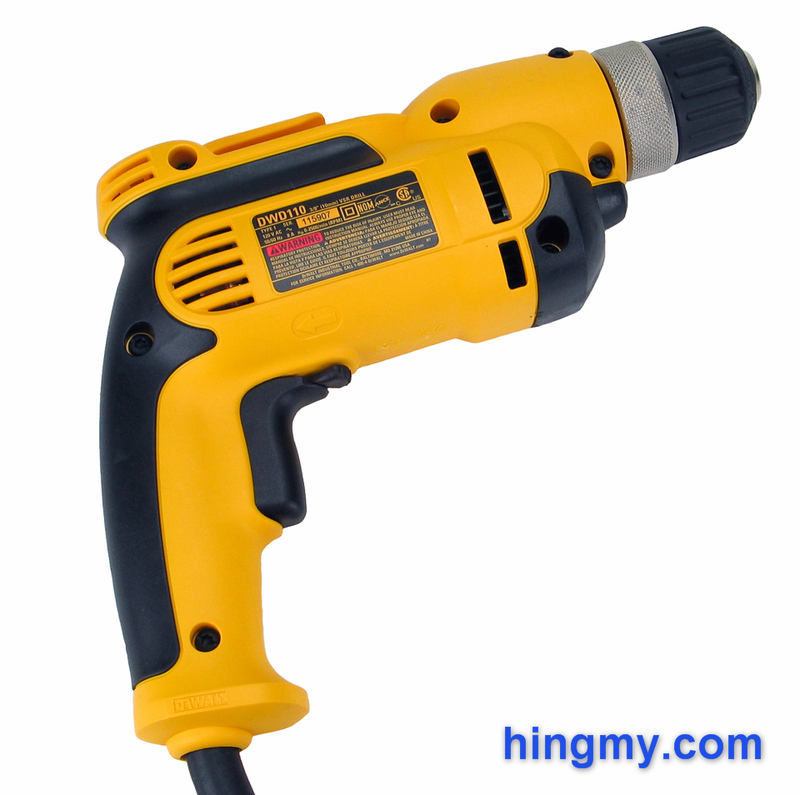 The 8 ft power cord is made of heavy gauge wire, but is a bit too short for a drill of this type. 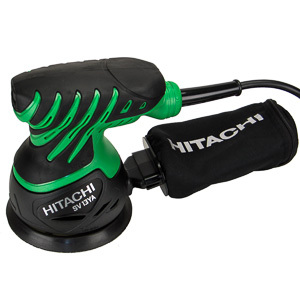 Light duty drills benefit from the extended range a 10 ft or even 12 ft power cord provides. As it stands the extension cord is a constant companion of the DWD110K. The chuck is an indication of what the DWD110K was made for. Only 3/8" wide and covered in plastic, the chuck limits the drill to smaller size bits. The chuck's three prongs hold bits well, but tightening the chuck to secure larger bits can be somewhat bothersome. The motor is well matched to the chuck. Usually there is enough power to drive whatever is mounted. The trigger of the DWD110K is worse than most. The changes in speed are not constant throughout the trigger's range. The drill seems to take a long time to speed up as the trigger is being pulled, and then suddenly lunges into full speed skipping a whole range of usable rpms in-between. With care the drill can be made to hold a steady speed, but for any amount of serious work the only real speed the drill can operate at is full speed. You just don't have the time to play with the trigger. The only real non-essential feature on the drill is a spirit level in the rear of the tool. The level can be used the level the drill both horizontally and vertically. It works well and can be a very useful feature in some situations. It's always there when you need it. 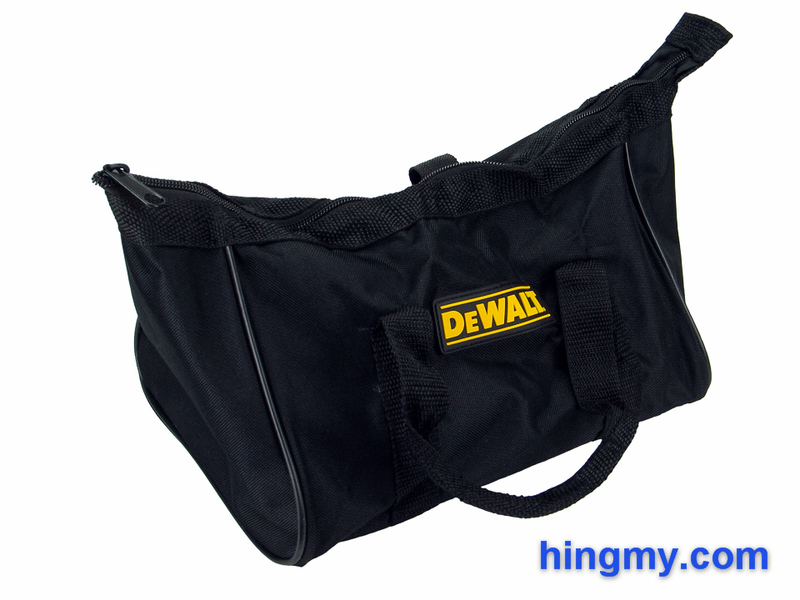 The bag included with the DWD110K leads one to believe that DeWalt has given up caring about the bags they include with their tools. This one is a simple cloth bag with a zipper on top. The bag only vaguely matches the drill's size and shape. There are no internal compartments to separate the content; not even a pocket. Thankfully we can be sure that this bag did not add a meaningful amount to the price of the drill. The bag could not have been more than a few dollars to source in China. The performance of the DWD110K changes with its motor speed. 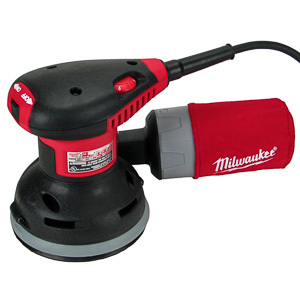 At low speeds the tool delivers very little torque; so little it is easy to stop the drill from rotating with your hand. Starting a hole needs a light touch. 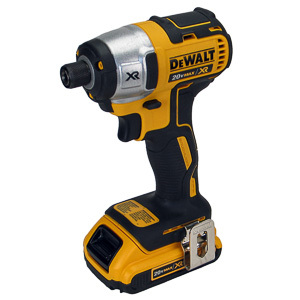 If you are looking for a drill to use at low speeds, the DWD110K is not for you. This dynamic also makes the DWD110K a pure drill. Don't even think about using it for driving fasteners. The drill's poor torque at low speeds leads to the drill failing to drive even very small fasteners. Performance improves as the speed gets higher, but doesn't really reaches its peak until the drill is rotating at its maximum speed. At this speed the drill chews through anything in front of it. It is particularly fond of construction grade lumber, plywood, and other relatively soft materials. In these materials holes get drilled in a prompt fashion thanks to the generous 2,500 rpm top speed. The DWD110K can deal with hardwood too, but the high rotation speed and hard to control trigger can lead to bound bits and burnt wood. When drilling metal the DWD110K slows down dramatically. It has to make up for what it lacks in power and speed by taking more time to complete a hole. When using bits smaller than 1/4" you won't notice what you are missing, but large bits will quickly show you why there are more powerful drills on the market. While not the most powerful drill, the DWD110K is still a professional tool. DeWalt has engineered the drill to perform on a job site. The DWD110K's generous motor cooling fan allows the drill to be used for large projects. This drill keeps on going the entire day, and it'll last for years. It's the combination of a lot of work that is tough as well that will cause the DWD110K to go up in flames in a short time. If you use it for what it was built for, however, the DWD110K will not quit on you. DeWalt sells three different versions of this drill. All three share the same motor, gear housing, and specs leading to identical performance. The difference is in the form factor and the chuck. The DWD112 replaces the plastic chuck of the DWD110 with an all-metal unit. For a little more money this tool offers superior longevity. The DWD115 offers the same performance in a mid-grip format along with the metal chuck of the DWD112. The DeWalt DWD110K is a well-built drill engineered for producing small size holes in soft materials at a production pace. Most materials around a residential construction site are the ideal materials for the DWD110K to munch on. 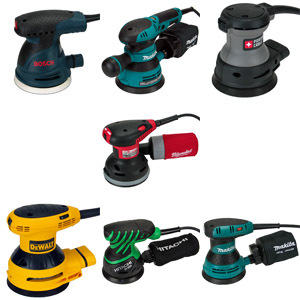 The drill is best used with a wide open trigger, which avoids the drill's abysmally low torque output at low rpms. 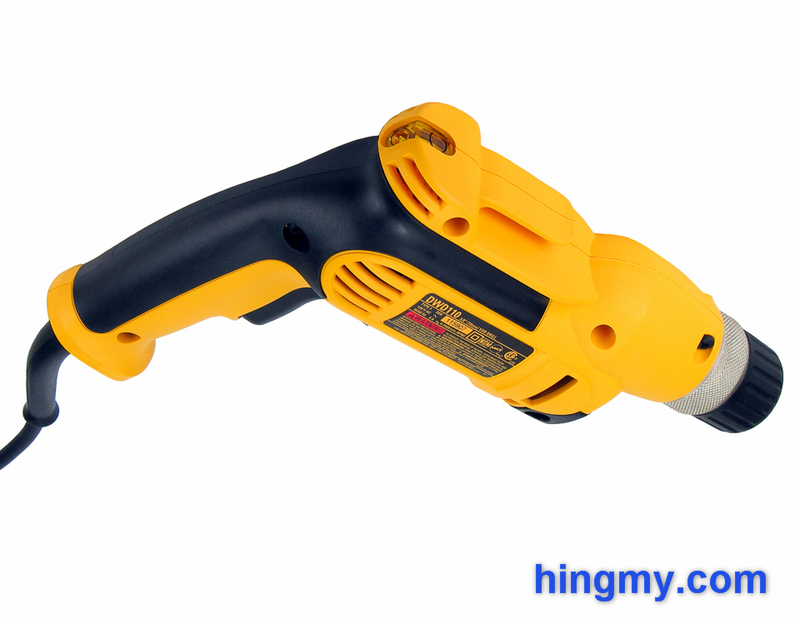 The low price of the DWD110K, small size, and usability make it one of the best tools for a first time home owner or tool user. The drill's versatility makes it useful several times a year, and its low price and excellent durability create an unmatched ROI. This drill will take care of all home repairs now, and will be strong enough for one or the other project down the road. You'll own this drill for a decade or more. Professionals needs to understand that the DWD110K only performs well when working with small bits and/or soft materials. This is not a drill that can do it all. At the price it is going for, however, it can be a great bargain for anyone who works the same way the DWD110K does.